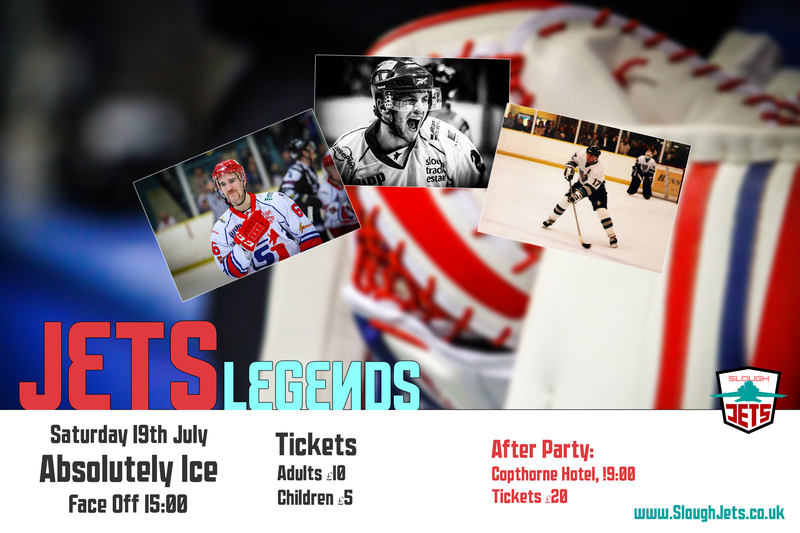 There’s under a month to go now until the Legends hit the ice to celebrate the 28 year professional history of the Slough Jets at our Charity Legends Game. Saturday 19th July is the day the Legends hit Slough, first in Absolutely Ice then at the Copthorne Hotel and now thanks to Lewis Cleveland we have a poster for you to download, print and share! Click the picture below to get your high resolution copy to share around your school, work, college and spread the word.